On Wednesday, I made the most difficult decision of my political life when I voted in favour of the LRT stage 2 contract. I’ve received several notes asking me why I voted the way I did and wanted to give residents some insight into what was on my mind. Many residents are concerned about SNC Lavalin’s involvement, the increased scope over what was originally to be procured, and the lack of time to make a decision. In 2017, I voted to approve the procurement process that led to yesterday’s vote. It was an open bidding process that set out that we'd pick the winner based on how they score, with clearly set out criteria. We are legally bound to adhere to that process. 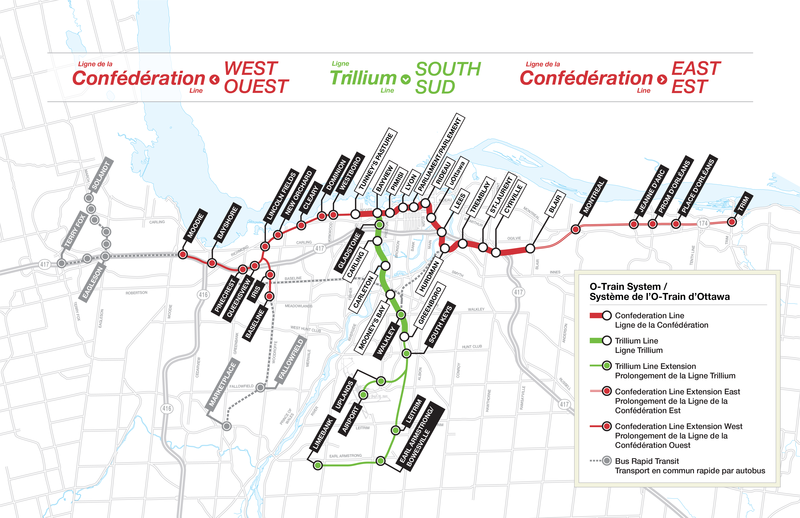 On February 22, the City staff made public their recommendation that the contract to build the southern extension of the O-Train and the east/west extensions of the Confederation Line should be awarded to SNC Lavalin and a consortium called East West Connectors respectively. Those firms, we were told, won the bidding process as set out by Council. I’ve been clear that this was not enough time to make an informed decision about such an important decision, and I worked with several councillors to push for a roughly three-week delay in the vote (more here). Unfortunately, the motion that I and Councillor McKenney put forward to defer the vote until March 27 failed at Council. Council was convinced by the argument made by staff and external counsel that deferring the vote could jeopardize the contract and result in steep penalties in the 10s of millions to the City (a feature of the procurement process) as well as derail progress. The key feature of the procurement process to understand (and what weighed on colleagues’ minds as we put forward our deferral motion) is that the City has been working to have all of the details of the contract in place by the March 29 deadline to close a deal as set out in the procurement. A failure to do so would result in the aforementioned penalties, and release SNC Lavalin from its bid. That would mean a re-negotiation of the deal, likely at greater cost to the City. In order to meet the March 29 deadline, the City needed a positive Council vote that would then trigger the funding commitment we are expecting from the Province. A March 27 vote, a majority of Council considered, would not leave enough time. Several of us did not agree, but we were a minority. I should note that I will not focus in this post on the scope and cost of the project. I support those. The increased scope means a change in our long-range financial plan, and I’m comfortable with it. While I don’t always agree with the direction in which Council has moved with respect to things like tax increases, I do trust our Treasurer to present us with an accurate picture of our financial health. The increased scope relies on transit tax increases of 3% and transit fare increases of 2.5% for the foreseeable future, as well as the issuance of debt. Transit fare increases are obviously problematic, but how we pay for the LRT is not fixed entirely in stone. If we find alternative ways to pay for it, we can vote as a Council to adopt those. It’s a challenge, but not impossible. Investment in LRT, I believe fervently, will generate economic activity that will ultimately cushion the financial impact. Much of the questioning that I and some colleagues focused on was to establish whether the bidding was fair. What we heard on March 6 from City staff, our external counsel, and an independent fairness officer is that SNC won the bid to do the southern portion fair and square, as did East West Connectors to finish the Confederation line to beyond Bayshore and Trim Road. There might be doubts in the minds of many, but these individuals have made legal declarations. They've stood before Council, the media and the public and said SNC won a Council-approved process in full observance of all parties’ legal obligations and will deliver the best system with value-for-money. I think two main considerations flow from their declarations. The practical one is that turning around and denying SNC the contract on the basis that we consider the company an inappropriate partner when we've been told they won the bid fair and square would expose the City (and taxpayers) to legal action that I have no doubt they'd win. The procurement process is set out in black and white. I believe that the inevitable legal action would cost taxpayers millions in damages in addition to the contractual penalties described above. All of the bidders pursued the procurement in good faith that the City would respect its process. The principles consideration is that I've chosen to trust our staff. That's partly the high level of how our city democracy has to work when projects like these are so legally and technically complex, and partly the result of having worked very closely with many of them in the past four years. The residents of Ottawa are being served by public servants who take their duties and obligations seriously and who come to work each day to protect the public interest. Before voting, I also thought long and hard about the implications of being wrong. The Stage 1 project has been fraught with problems. As always, I'm looking for the systemic reasons for those, and it all comes down to the project agreement. There are very specific problems with how the Stage 1 project agreement worked. I have a confession to make. I was completely off email and out of touch with the office for medical reasons for two weeks ahead of this vote, but I did begin an immediate conversation with staff when the Stage 2 report came out (literally the day after I got out of hospital). I've been back and forth with staff on multiple items to try to satisfy myself that they understood what was fixable about the Stage 1 contract, and that those changes were made. I won't get too deep into it, but I'm as satisfied as I can be that things like communications roles and responsibilities, oversight responsibilities, incentives and disincentives and more have been significantly changed from the Stage 1 project agreement to this one. All of those considerations were addressed publicly in Wednesday's debate as I went over much of the same ground in my questioning. I’ve asked for additional information such as the contractual requirements for pedestrian and cycling detours, as well as the new bus detour in our ward. My understanding of those contract considerations is imperfect as we faced a ticking clock. I have not had a chance to consult with the community on whom I rely to raise red flags. It would likely take another week or two to parse out what parts of the draft project agreement could be made public, and I would have liked to pursue that. Councillor McKenney and I tried to delay the vote by a couple of weeks so that I could continue that conversation, but a majority of Council didn't support us in that. I've had to make a judgment call. But, I can in good conscience tell you I believe that many of the Stage 1 project agreement issues have been addressed. Flowing from that is that I believe we've done everything we can to ensure the project is built to spec and as close to on-time as possible. Of course, there might be delays. But, I believe that to the extent that we understand the systemic issues in Stage 1, those have been appropriately addressed. I have to live with the consequences of a procurement process that I voted for, both on principle and for practical reasons. I have to be able to - in good conscience - tell you that the taxpayer is as protected as they can be by the project agreement to get what we paid for, with the appropriate project completion bonds in place and incentives and disincentives to complete the work. The result of that is that SNC has won part of our Stage 2 contract. That's an outcome that will upset many. And, there are going to be many who consider that all of the principles and values that I've used to make my own decision are irrelevant - the outcome is simply unacceptable. I understand that. I’ve made a judgment call based on insufficient information. I'd like to read the fine print. As someone who prides himself on exploring the evidence before making up his mind, it’s not a comfortable place to be. I’m disappointed that a decision in which I should have been able to take great pride has fallen under this last-minute shadow. I am very proud of the heavily consultative approach that I’ve taken along with the City for Stage 2 planning in our ward; it has been a huge difference in tone and practice compared to Stage 1 planning. It is only now at the 11th hour that I have had reason to balk at the City’s approach. With the decision now made, I and colleagues will turn our attention to getting Stage 2 built, and I’m excited about that. My experience of working with the City on the day-to-day issues of Stage 1 has helped me hone my own consultation and information-sharing approach, as well as awareness of what can go wrong and why. I believe our residents in the western part of our ward will benefit greatly from the experience of those in the east. And, of course, I’m very excited about getting LRT stage 2 built. I believe it’s critical to the sustainability of our city, and many years from now I know that I will look back with pride at the work that I and community members have done to get it completed.